Got this in the mail and wanted to share. Motel 6 is a favorite of doggie people. When you pull into a Motel 6 late at night, it’s nice to know your dogs are welcome. It’s no fun cruising around, late at night, road tired, trying to find accommodations for both you and your dog/s! 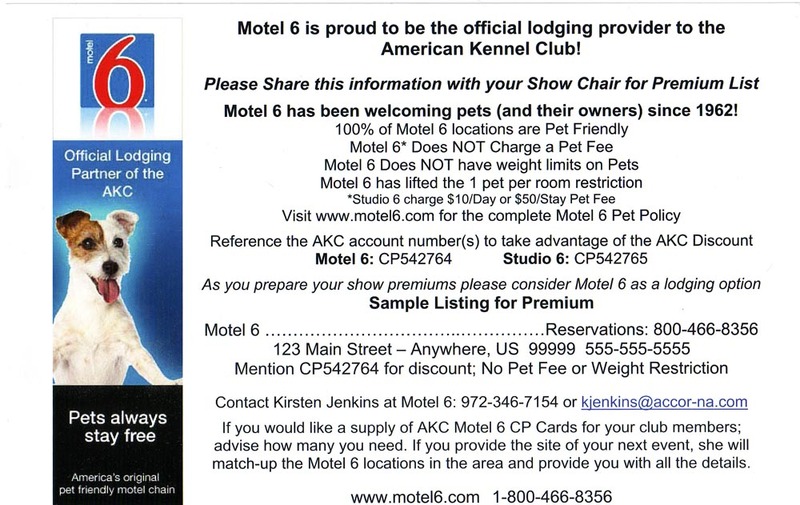 I love that they’re now the official lodging provider to the American Kennel Club. There’s never a Pet Fee and now the 1 pet per room restriction has been lifted. This would often be lifted if there was a dog show in the area, but now it’s lifted always! A bear and a dog (not counting Ace). Some eagles, a pink flamingo and a cactus.